I believe this photo was taken between shows when the Beatles played Maple Leaf Gardens in Toronto on September 7, 1964. 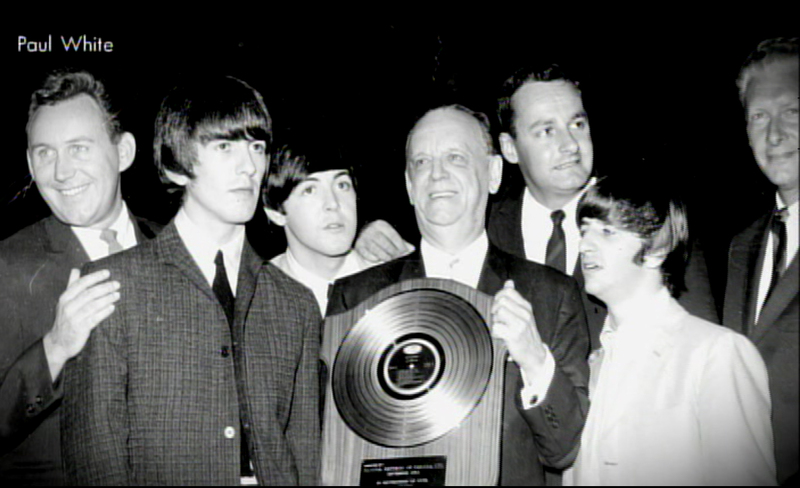 The gold record would have been for either Capitol of Canada's "Beatlemania!" or "Twist and Shout" album, and Paul White was the man who signed the band to Canadian Capitol in 1963. Yes you are right---I spotted a photo like this in the Beatles in Canada book.